The Dyes made a pilgrimage to Scotland in 1963 where they made a study of the classic courses. The use of pot bunkers, bulkheads constructed of wood and small greens were all going to have a strong influence on Dyes future thinking and course designs. 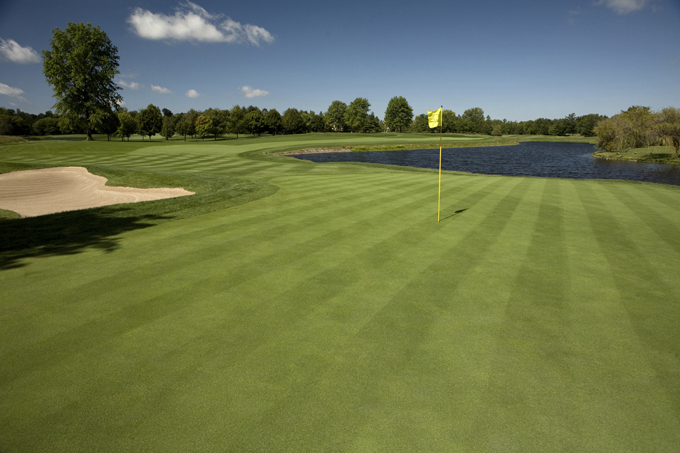 Crooked Stick Golf Club was the first track to benefit from the newly gained knowledge from their pilgrimage to Scotland. The Dyes and four colleagues spoke about their ambitious plans to build “the finest golf course in the area” and they did just that. With such enthusiasm saw the birth of Crooked Stick Golf Club two years later. Crooked Stick was Pete Dye’s first great golf course design, built in the mid-1960s on flat Indiana farmland that Dye transformed into a links blend patterned after the designs of Alister Mackenzie, Donald Ross and C.B. MacDonald. 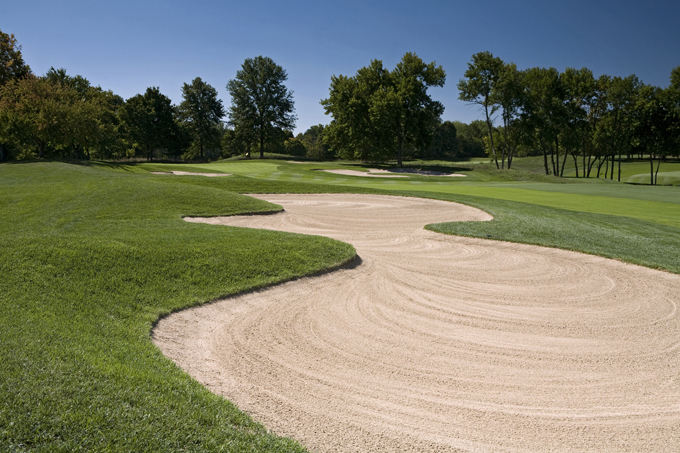 The course features wide fairways with fair landing areas and demanding approach shots. Construction of the first nine holes was completed in 1965, with the back nine completed two years later. In all it has hosted the 1991 PGA Championship, won by John Daly. Since the 1970s Crooked Stick has never not made Golf Digest’s annual ‘Top 100 Courses’ which is some feat for a course that started out as a chat around a meal. Tiger Woods 7/1 and Rory McIlroy 6/1 are going to be stupid odds for this weeks BMW Championship, I obviously think they both have a great chance of winning, especially Tiger as he won’t want Rory to be taking all the plaudits. So I am going to name other players who have better odds and on their four days have just as good a chance to win here this week. I think Louis Oosthuizen 18/1 will be like a dog with a bone this weekend, I can’t see the South African sitting back and taking that defeat well and he’s final round 71 will feel like he shot 80 to lose the Deutsche Bank, so look for him to start like a bullet out of a gun and lead from start to finish. Phil Mickelson 20/1 has been fighting his driver all year – I’m thinking Butch Harmon should have taken the pair to counselling it was getting that bad, but something has clicked and a final round of 66 and three rounds of 68 saw the Californian coming back into form that won him his four major championships. I have had a feeling about John Senden 66/1 winning a big tournament all year and the Queenslander has had eleven Top 25s from twenty starts, five of those coming in the Top 10. It has been a long time coming. John turned pro in 1992 but I don’t think it’s going to be long before this Australian makes his mark. 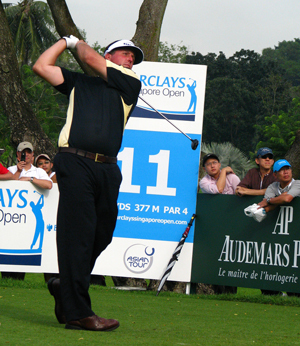 A lot of the players I have named to win this week are probably obvious but it’s really just finding the right odds for who you fancy, so for the each-way bets I am going to go for some left field players who could get into the Top 5 and first up is Kevin Stadler 90/1, who in the last two play-off events has made the Top 10 and seems to be on a little roll. As I am writing this his odds are not up yet, but I think he could be good value this week. 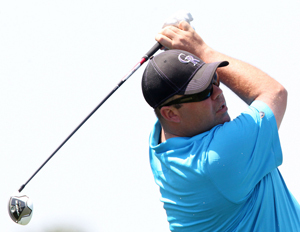 Another player who seems to have found a bit of form after some early season Top 5 finishes is Jeff Overton 70/1, finishing in the Top 10 last week with his opening round of 64 and his two final rounds in the 60s sees the lad from Indiana not far away from stringing four good rounds together. 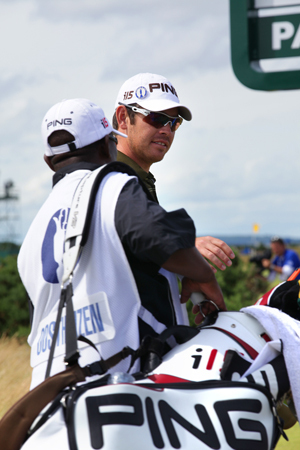 It wasn’t a good week last week for Jimmy Walker 125/1 but a final round 68 saw him salvage something from the week and hopefully he will be teeing it up with a bit of confidence here where he can make his third Top 5 finish of the year so far.